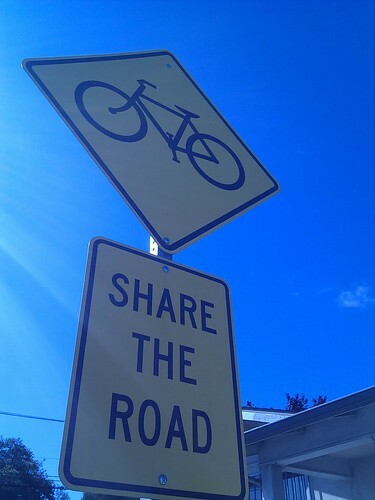 In honor of this summer’s Road Respect Tour, we’ve completely renovated our page on Local Bike Laws to make it easier for cyclists to familiarize themselves with the rules of the road. Take a look at the newly renovated Local Bike Laws page to find out about the top 10 state and city laws. You can even download a handy bike law reference guide created by Provo Bike Committee member Jordan Englund. Carry the one-page guide when you ride in case you need to ever-so-kindly educate fellow cyclists behaving like this, drivers that yell at you for riding in the street (where you should be), or officers that don’t quite remember the law. This entry was posted in Bike Laws by Jamie. Bookmark the permalink.